A double glazed operable wall that provides excellent acoustic properties and functionality to compliment your current interior design. 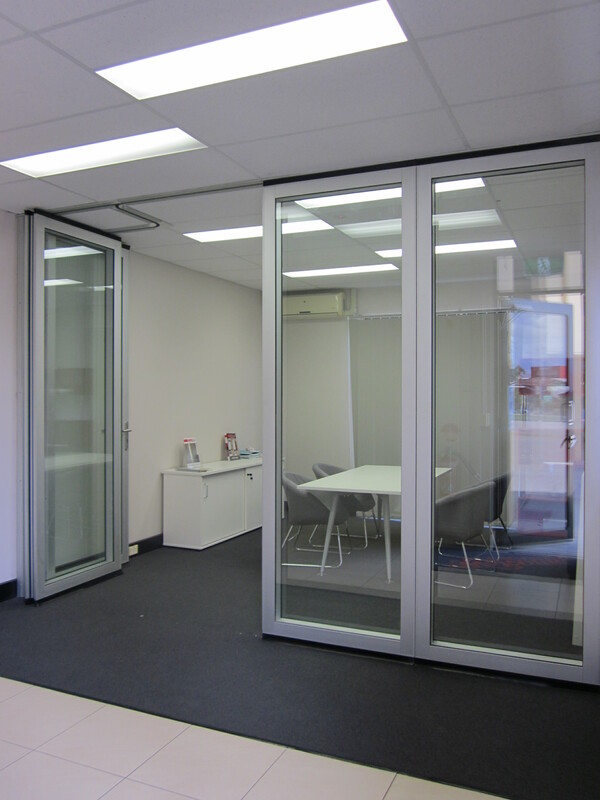 Our DG100 series is a double glazed operable wall that provides excellent acoustic properties and functionality to compliment your current interior design. Panels are aluminium framed, consisting of laminated glass with PVC extruded seals internally and externally. Panels are 100mm thick and can be manufactured to a maximum size of 1200mm wide by 3000mm high. The panels incorporate an 80mm trim around the perimeter of the frames with dual 20mm interlocking stiles. These stiles also include three vertical rubber bulb seals and two vertical PVC seals to provide a complete airtight seal. Full Self guiding four wheel carriers. All Unifold operable walls are supplied standard with nylon tyred ball bearing four wheel carriers. Depending on the desired stacking, these carriers have the capability to guide themselves into the stacking bays for ease of operation. For custom stacking options, heavy duty puck carriers and counter rotating track will be required. The Unifold DG100 Operable Wall has an acoustic rating of Rw49. The standard seal option for the DG100 operable wall is the three fingered rubber sweep seal. This seal is designed to make contact with the track and floor creating an acoustic barrier above and below the panels. Panels consist of captive wedge PVC rubber extruded seals enclosing glass panes and providing an airtight seal. Side stacking is preferred with the DG100 as it enables ease of operation for moving panels. 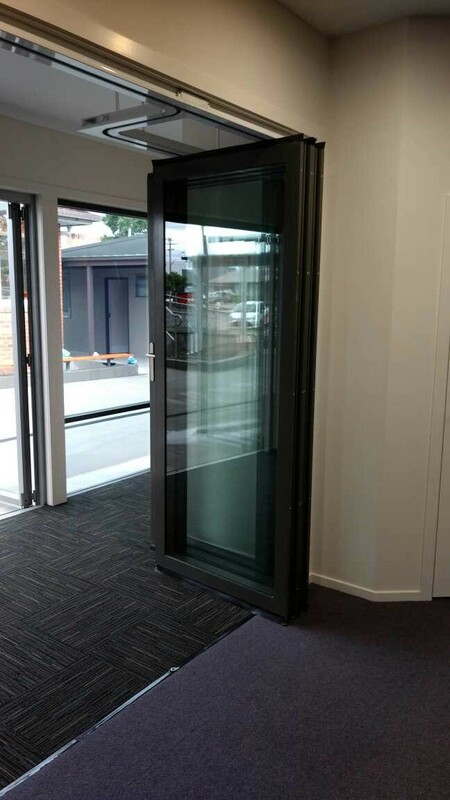 A jamb hung full height pass door is used to acoustically close the DG100 Operable Wall. This is positioned as the last panel and is hinged off a fixed jamb. Both ends of the wall have aluminium jambs and a concealed foot bolt is incorporated in the panel adjacent to the pass door.